Celtic is an authentic Dry Cider that combines a subtle woody tone with the well-rounded flavour of the best apples. 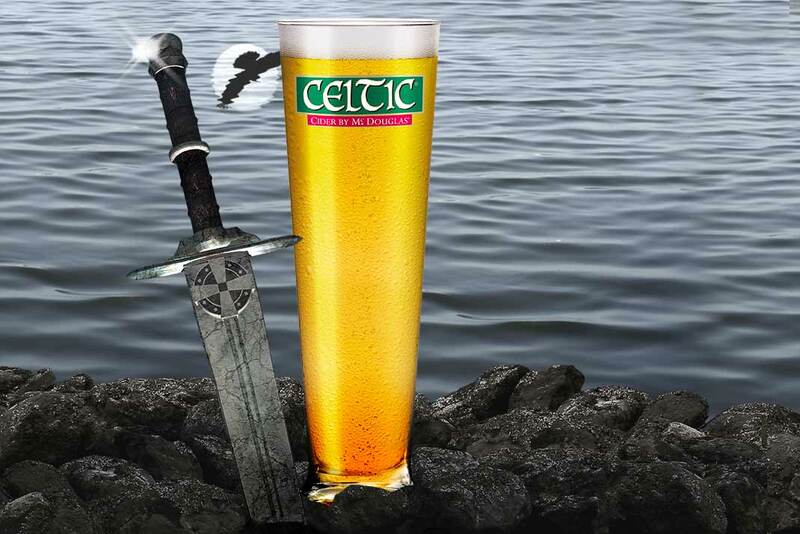 As mysterious as the legends of the Celts, as generous as the Celts themselves, Celtic Cider evokes both passion and adventure, with sword in hand! It proudly bears the symbol of the Celtic cross. It takes its flavour from its taste for heroic deeds. The sword it wields lends it the greatest soul and nobility. Celtic Cider by Mc Douglas, a superb yellow gown with hints of rosé, suggestive of the great champagne vintages.